This site is operated and funded by members of our class. Hey class of 90. If you are classmates . Got married 5 years ago, have a 2 year old girl and 1 year old boy. Working in Stuttgart Germany in the newly created Africa Command. Anniversary Cindy Inscoe Harris 10 year anniversary Jan 30th. 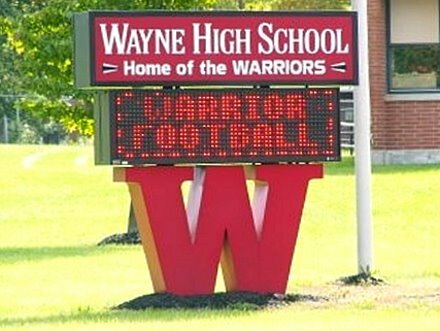 It is a product of Classreport, Inc. and may not be affiliated with Wayne High School or its alumni association.